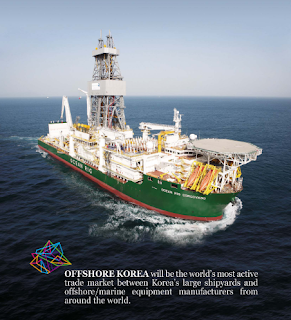 OFFSHOREKOREA: The Offshore Korea 2012 economically values KRW 50b of ripple effects. The Offshore Korea 2012 economically values KRW 50b of ripple effects. From 14th to 16th in this month, the Offshore Korea 2012 is held in Busan. It is hosted by the Korean government, Busan Metropolitan City and the other public organizations. As the 1st offshore exhibition, it is expected that it would be greatly meaningful event for practitioners in the offshore industry. 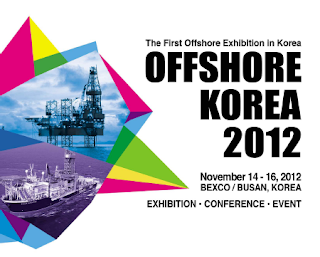 In spite of a paid event, about 300 people have already finished their registrations to participate, so, far more people might visit the Offshore Korea 2012. Thus, Busan city and other host organizations have arranged to accommodate an excessive number of people. 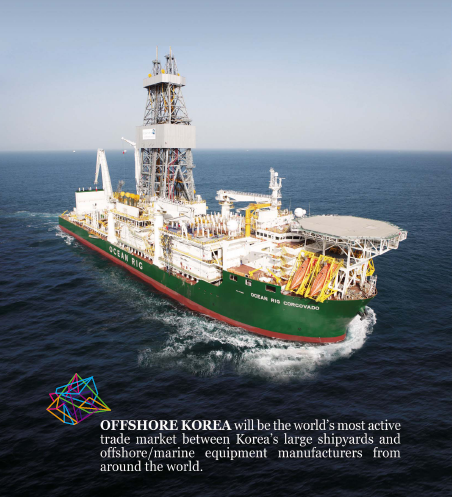 On the other hand, according to Busan City, the Offshore Korea 2012 would generates approximately KRW 50b of ripple effects throughout the vitalization of relevant industries, like roughly $450m of purchases, exports counsel and contracts as well as tourism, exhibitions and accommodation while securing the status of the core city in the global offshore industry. In the meantime, the conference and skull session are expected to be good opportunities to make a breakthrough to localize offshore plant equipment and prepare for securing the core technologies in the relevant sectors. * This post was translated based on the article Maeil Business Newspaper had reported.